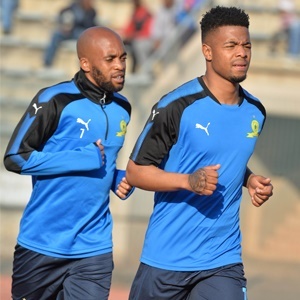 Cape Town - Former Mamelodi Sundowns striker Hareaipha "Simba" Marumo has reservations that new signings like George Lebese and Oupa Manyisa can take the club to another level. The pair were two of the most high profile signings durings the previous transfer window with Lebese leaving Kaizer Chiefs for Chloorkop, while Manyisa swapped Orlando Pirates to join the Pitso Mosimane-coached outfit. With the Brazilians recently being knocked out of the CAF Champions League at the quarter-final stages, it seems performance levels have dropped off from what they were when the side won the competition for the first time in October last year. As such, Marumo doubts that the most recent recruits have improved things for Sundowns. "I am not sure if the new recruits can take them higher. The standard they set last year was so high that I am not sure they can take it forward," he told the SowetanLIVE website. "I still have to see how the new-look side will fare. I am not sure they will reach the same level, but I personally hope they can do it. "It was disappointing because I expected them to go far. They have to bounce back in terms of picking themselves up after their elimination. "I expect them to do a lot better domestically. It is a scar they will feel for a long time this season. If anything, they will feel pressure in all their PSL games but I expect them to do well in the league."